Kate Middleton, the Duchess of Cambridge, is known for her subtle fashion choices. Every piece of ornament and clothes she wears make her look as if she has just walked off the pages of a fashion magazine. 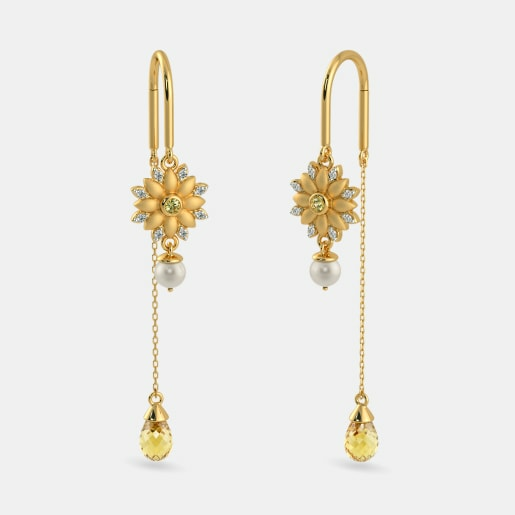 One of the most priced pieces in her collection is none other than a yellow citrine earring. Ladies of the modern word, you do not have to be a Duchess or a celebrity to add the sun-kissed hue to your collection. 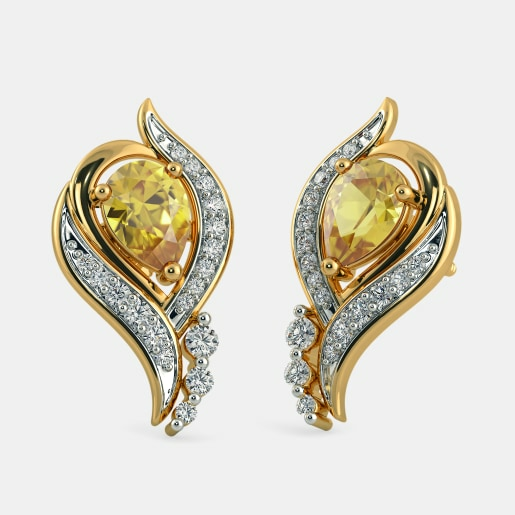 The designers at BlueStone bring to you a stunning collection of yellow earring designs at an unbelievably lower price. 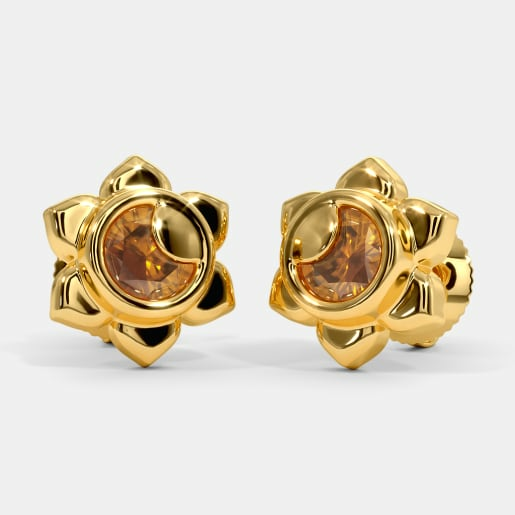 Add a dash of sunny hue to your jewellery collection with BlueStone’s citrine studded earrings. Unsurprisingly, the sun-kissed hue of citrine has captured the attention of royals of the new world and old world alike. The Hellenistic Age witnessed the use of citrine as a decorative gem. For thousands of years, citrine was used as a decorative stone on dagger handles crafted by Scottish weapon makers. Queen Victoria’s love and admiration for citrine are world famous. The parties at the queen’s Balmoral Castle in Scotland used to be a fashion affair and jewellery embellished with citrine ruled those parties. Some of the popular citrine ornaments include the tiara of Luxembourg Royal family and the Art Deco tiaras crafted for the coronation ceremony of King George VI. 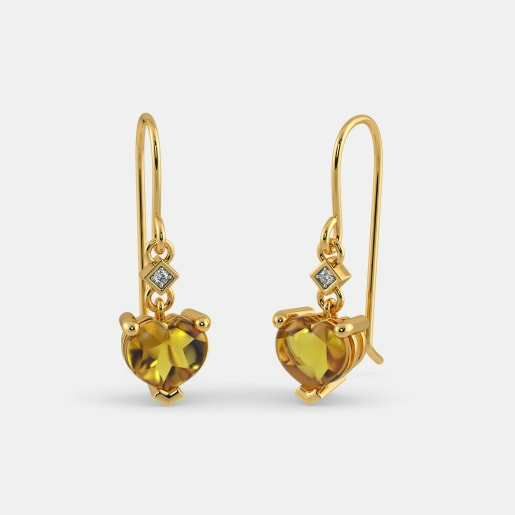 Citrine is not the only stone that is used to make yellow earrings. 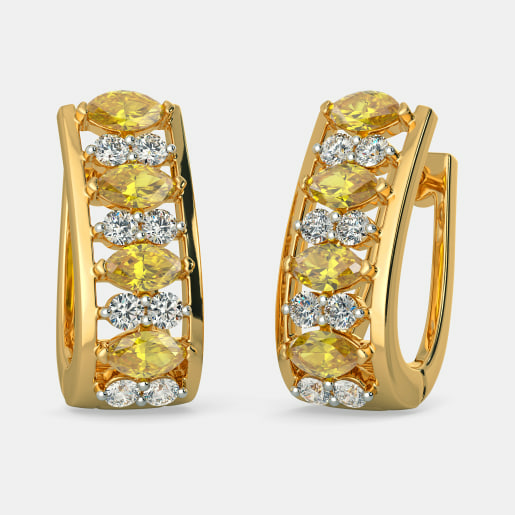 Precious stone such as yellow sapphire and yellow diamond are also used to give jewellery the yellow shade. 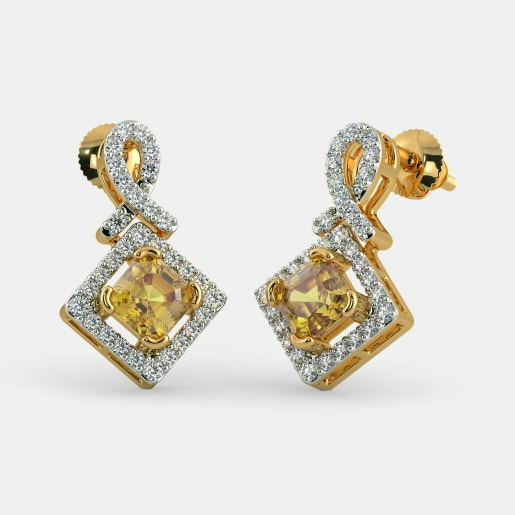 At BlueStone, we use both yellow sapphire and citrine to create wonders that go by the name yellow earrings. Irresistible deals and magnificent designs have made BlueStone India’s favourite online jeweller. 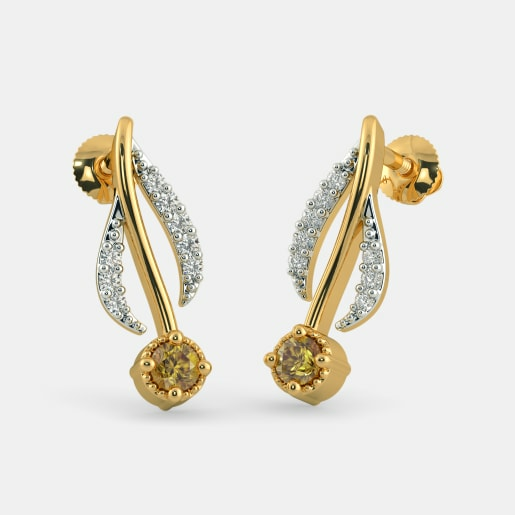 The designers at BlueStone bring to you an array of brilliantly crafted yellow earring designs. 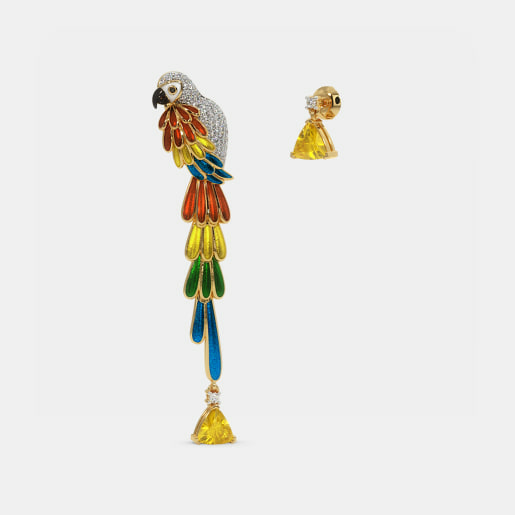 What more reasons do you need to buy yellow earrings online from us? 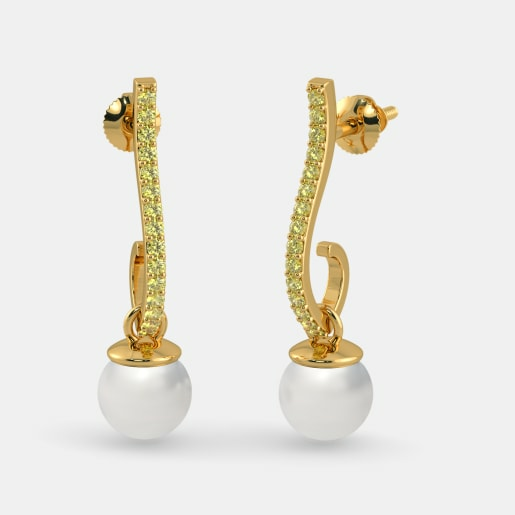 Yellow, yellow charming earrings, simply resting on thy ears -this is how the designers at BlueStone will rewrite the rhyme. 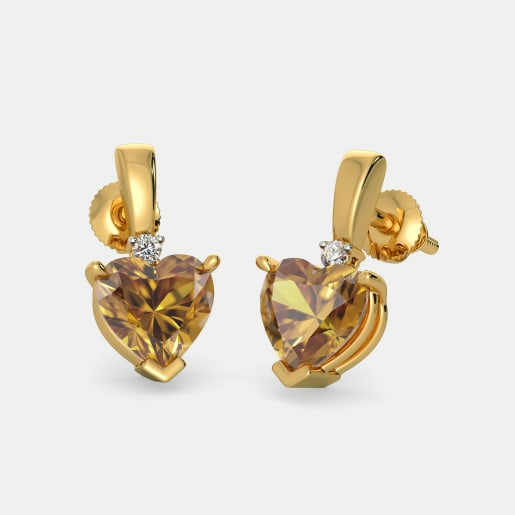 We have created artistic wonders in the form of earrings using the magnificent yellow stones- citrine and yellow sapphire. 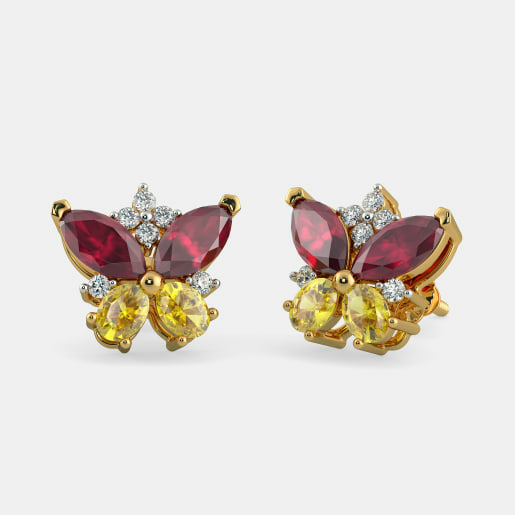 Take a look at some of our coveted yellow earings designs and make your pick. 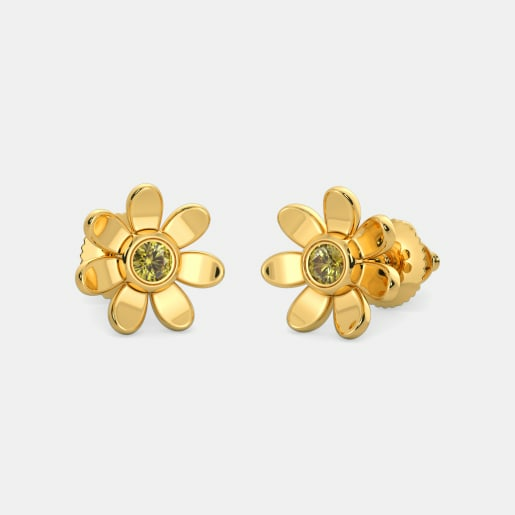 Studs will never go out of fashion and that’s why we feature studs in our yellow earrings collection. 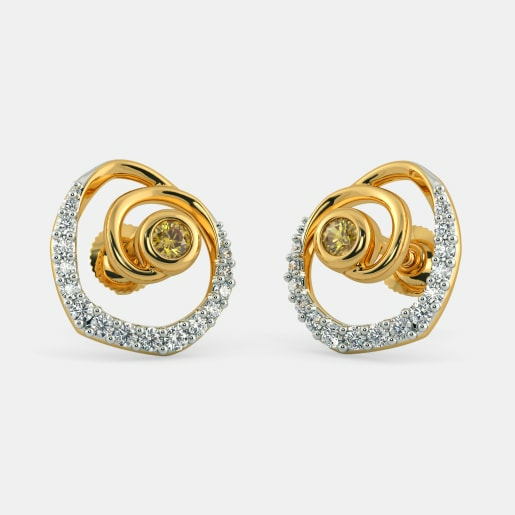 The Torille Earrings and the Solar Plexus Chakra Earrings are specially made for the lovers of studs. 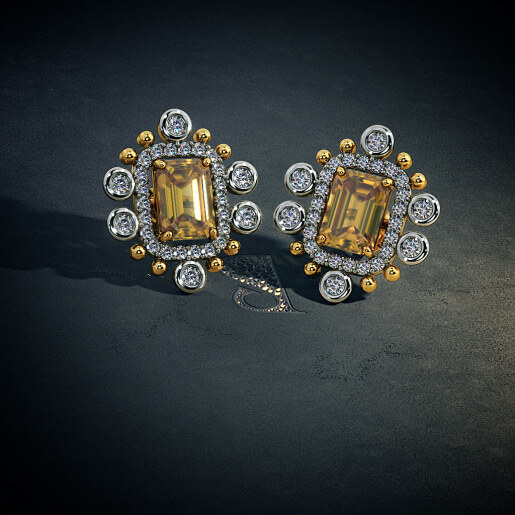 The former is embellished with citrine and diamonds while the latter is accented with a large sized citrine. 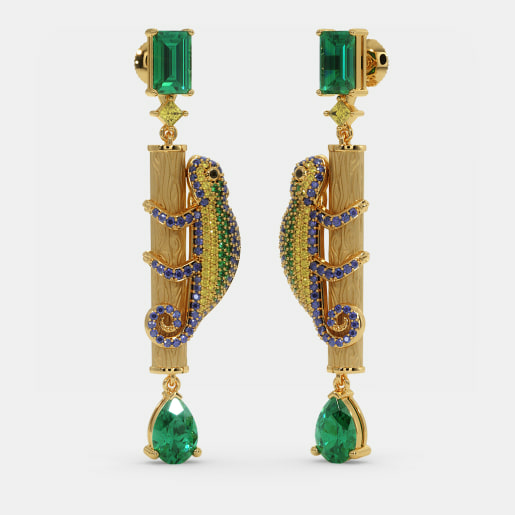 Both the earrings are made of 18kt gold. 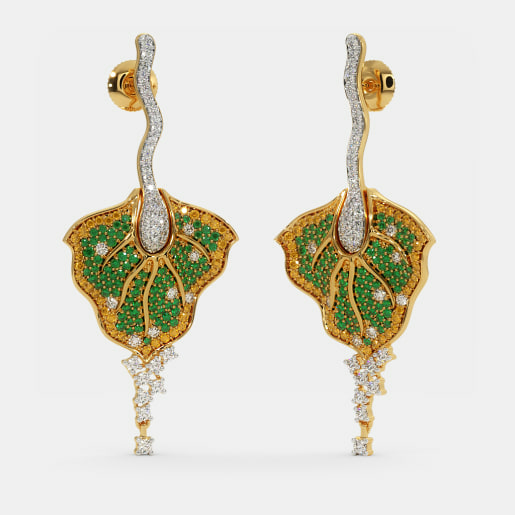 Drop earrings are beautiful pieces of ornaments. 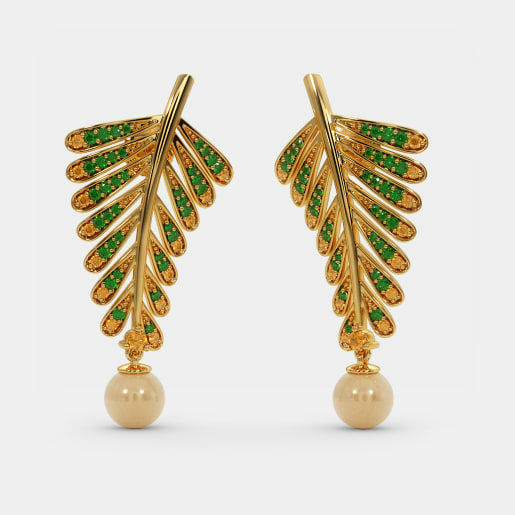 For the lovers of drops, we have the Picture Perfect Earrings. 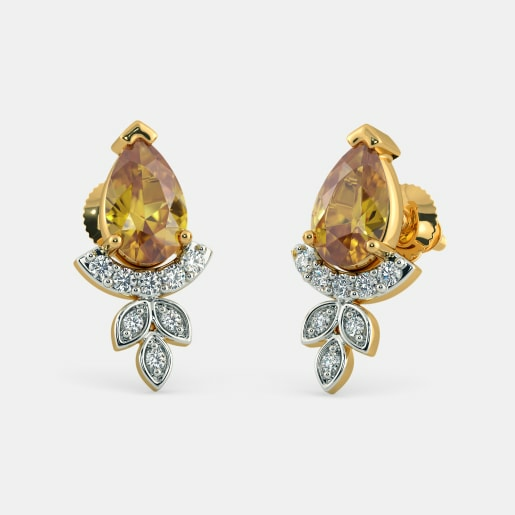 In addition to a big sized citrine, this 18kt yellow earring is embellished with diamonds. The joy of wearing multicolour earrings is inexplicable. 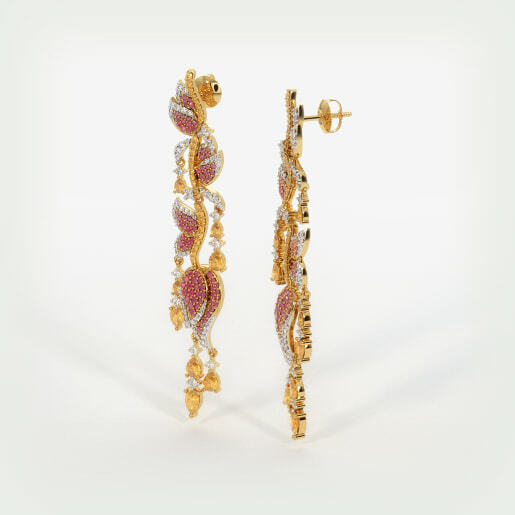 Adorn yourself with the wonderful Modern Glitz Earrings. 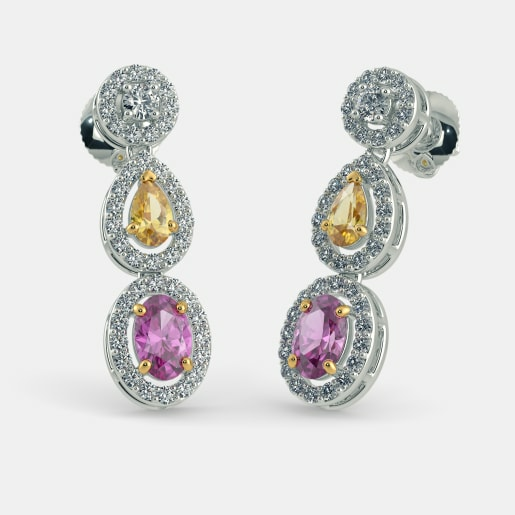 The earring is embellished with diamond, yellow sapphire, and pink tourmaline. 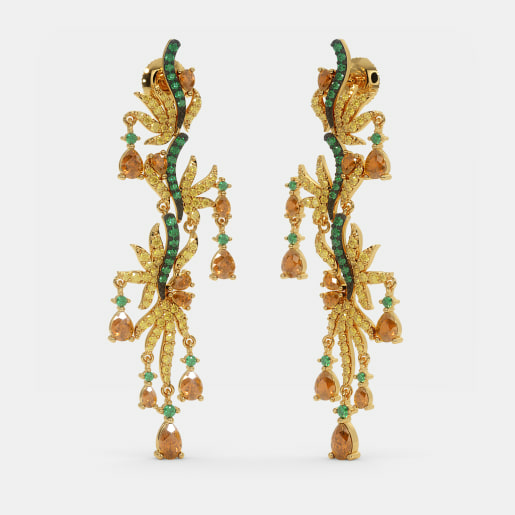 For the lovers of Sui Dhaga designs, we have the Arched Floret Earrings. 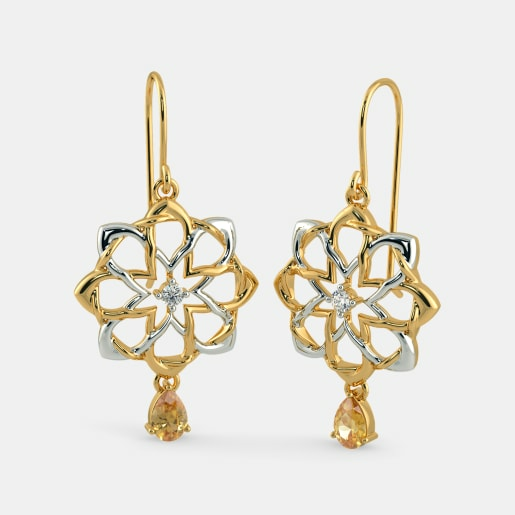 This 18kt gold piece is accented with stunning diamonds and Citrine. 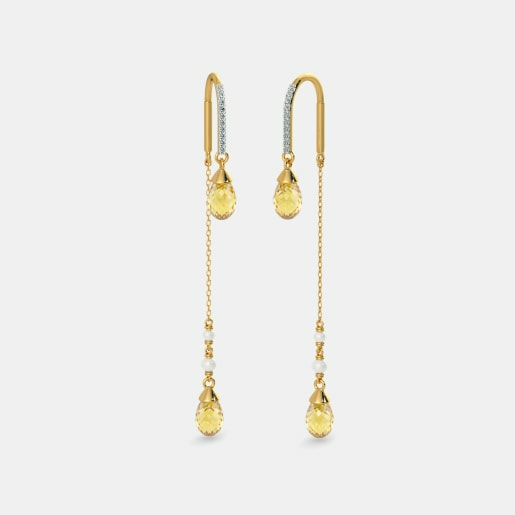 We have yellow earrings for your little princess too. 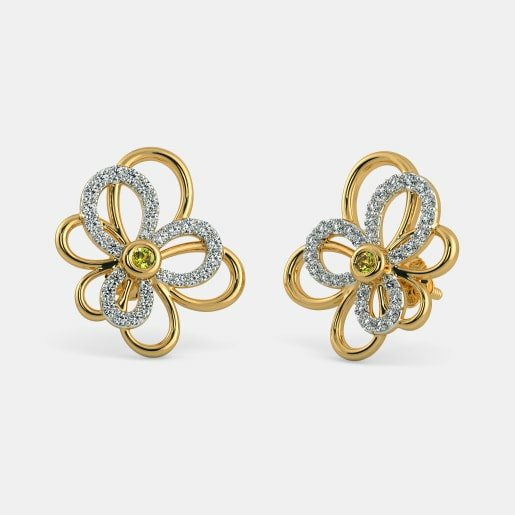 We are sure she will love to flaunt the Angelic Flower Earrings for Kids. There are more explore! Make the most of our deals and designs and buy as many pieces as you want. Even without deals, our pieces are affordable as we have kept our yellow earrings’ price reasonable and within your means.